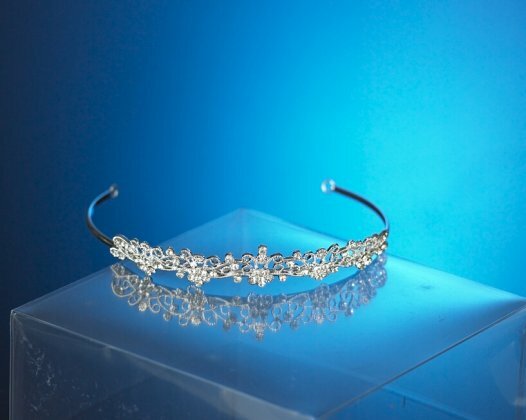 Warren York silver tiara. Very pretty and delicate - and such a bargain at only £25. Silver frame dotted with diamante. Moreorless 1.5cm all the way along.